Modular CAD Converter for a fast and accurate data exchange between major systems and CAD Formats such as NX, CATIA, SOLIDWORKS, CREO, JT, STEP, 3D PDF. Native CAD Interfaces, Healing and Repair functions assure perfect model quality. JT Daimler Supplier module for Daimler certified JT PLMXML exchange. Feature-Based converts fully workable CAD models including History and Parametrics. The Simplifier creates solid bounding geometry to protect know how and to optimize the performance of large assemblies. 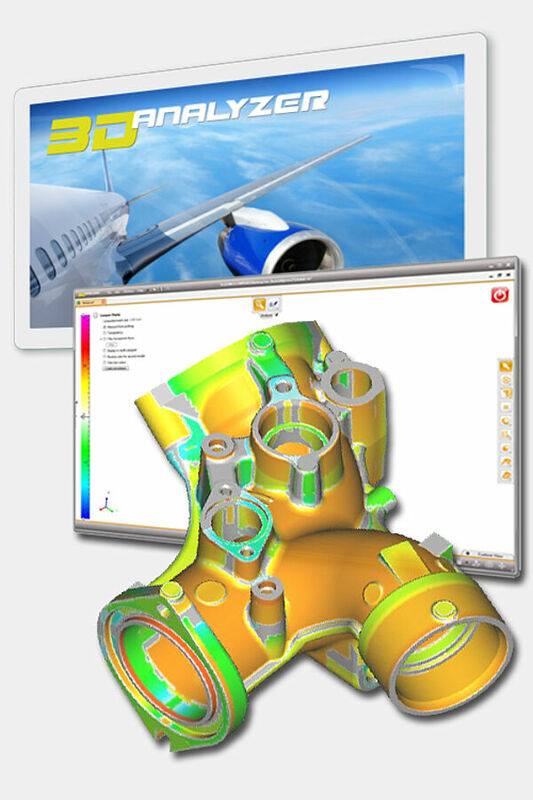 FEM Tools optimizes 3D models for simulation and meshing with Direct-Modeling, De-Featuring, Midsurface Creation and CAD Model Clean-Up functions. Advanced Analysis comprises DMU and mold making specific analysis like Clash, Clearance and Comparison as well as Draft, Undercut and Thickness checks. 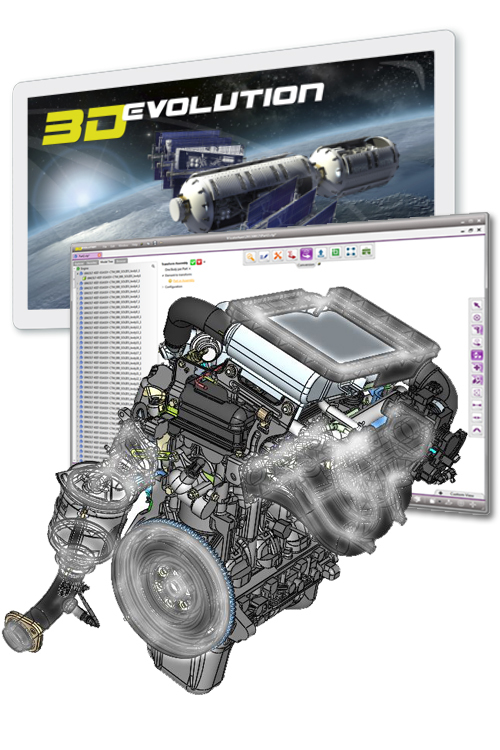 3D CAD Viewer for a fast viewing and analysis of large data from all major native and standard CAD formats reading Modelhistory, Features and Parameters as well as Metadata, PMI, Annotations and 2D Drawings. Precise B-REP measuring, dynamic sections and annotation functions. Automatic analysis computations for DMU and Tooling with detection of clash and clearance, model comparison as well as analysis of drafts, undercuts, wallthickness and projected surface. Conversion of CAD Models and saving of analysis result gradients as 3D-PDF or JT. Floating Network Licenses as well as flexible en route usage for Laptos and Tablets. 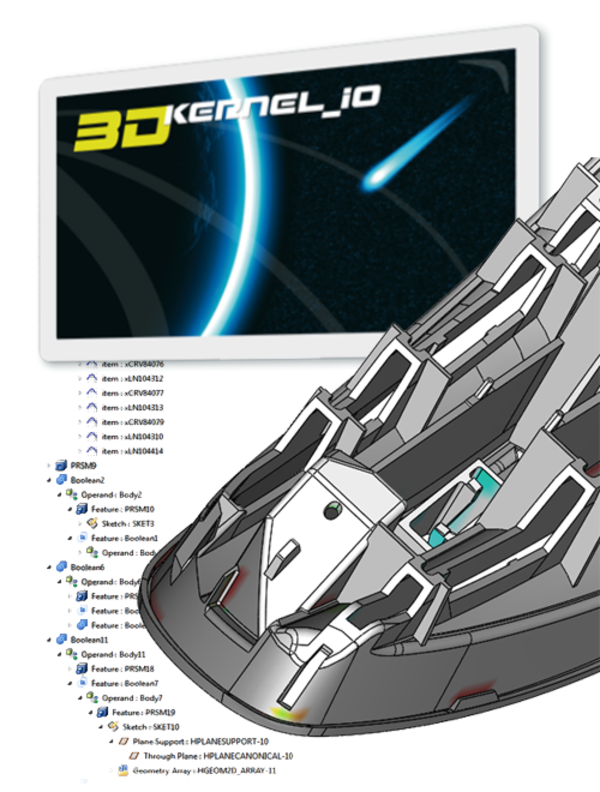 3D_Kernel_IO Software Development Kit (SDK) is an easy and fast way for software companies to embed Interfaces of 24 different CAD native and standard formats in their system. The mature interfaces of 3D_Kernel_IO read the entire information about B-REP, History, Parameters as well as PMI, Annotations, Metadata and Assemly-Structure. One implementation based on C++ for Windows, Linux, Unix and Mac platforms makes the data of all major native and standard CAD formats available in your CAx Application cost efficient and within shortest space of time. 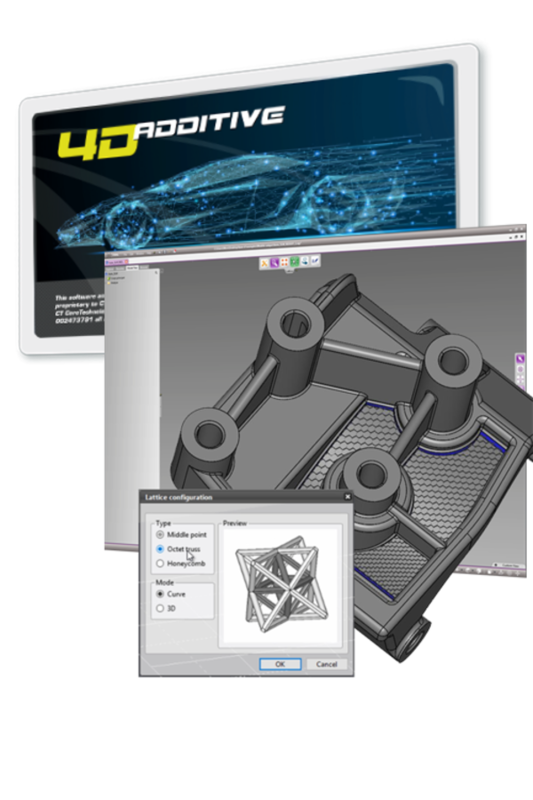 With 4D_Additive CAD data of all major 3D formats can be optimized for 3D printing within the shortest time. The sophisticated checking, healing and repair features ensure that high-quality mesh models are sent to the printer. Analysis functions like wallthickness and backlash checks help you to optimize your files. Futhermore the software can automatically analyse and sort files for different manufacturing processes based on their B-Rep geometry. In order to create lightweight constructions 4D_Additive can automatically compute lattice structures like honeycomb, octet oder centerpoint shapes. For Metal printing the software creates support structures. The data of all common machine types like building space and available materials are integrated and intelligent nesting functions ensure an easy arrangement of parts.